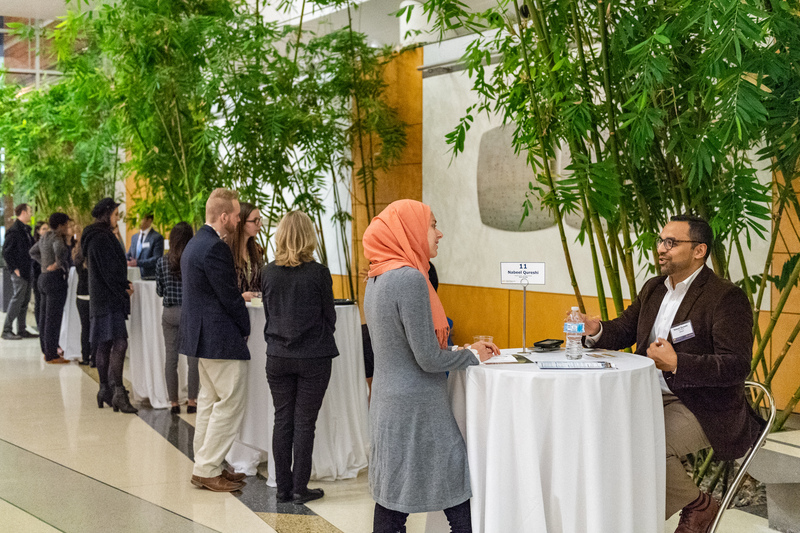 The College of Pharmacy hosted its 14th annual Career Gateway on Wednesday, November 7, 2018. This career fair provides an important connection between student pharmacists and potential employers, residency programs, fellowships, and alumni. A record 100 representatives from 32 organizations met, interviewed, and networked with over 200 Michigan Pharmacy students who are exploring diverse career paths. Attendees learned about employment opportunities, fellowships, internships, residencies, nontraditional Advanced Pharmacy Practice Experience (APPE) rotations, and other general career information. The College also provided over 70 one-on-one interview opportunities with organizations like Blue Care Network, Michigan Medicine HomeMed, Rite Aid, and CVS. The College would also like to thank the Career Gateway sponsors, Meijer, RiteAid, Sedgwick, JB Ashtin, and Pharmacy Solutions whose generosity makes it possible for us to continue this beneficial event. Visit our Facebook page for photos from this event.